Gold finished rather flat at $1,655.30 yesterday as participants were in no mood to trade one way or the other before hearing Bernanke's speech. The chart shows that the recent rally, which was triggered by the assumption that QE3 is near, has lost some steam. Technical analysis shows that the market is now below the 9 day moving averages but, at the same time, the medium-term trend is still pointing upwards. As Hurricane Isaac was downgraded to a Tropical Storm without major impact on refineries, oil workers started to return. As a result, the direction of crude oil prices was again dictated by the usual drivers; the US dollar combined with the stock market indices. Consequently, US crude oil lost $0.68 to $94.62 as energy investors await extra hints from policy makers before committing any further. As investors are having second thoughts about the likelihood of QE3 being around the corner, gold market participants started to close some of their long positions. That sent gold prices $10 lower yesterday, to a closing price of $1,655.30. The move was aided as the US economy continued to grow and stock markets are near their recent highs, which works against the argument for more monetary easing. The weekly crude oil inventories data released by the US Department of Energy showed a rise of 3.8 million barrels, versus estimates for a 1.1 million barrel fall. This drove the price of WTI crude oil $0.59 lower to $95.49. In the meantime, initial media reports have indicated that the damages done by Hurricane Isaac are relatively minimal, so any effect on crude prices is being unwound. A deepening recession in Spain restricted the rise in gold yesterday, with the precious metal only seeing a gain of $2 to $1,665. The yellow metal is expected to rally sharply if QE3 is be announced, but fresh concerns on Eurozone debt crisis has given investors second thoughts for now. However, a slight weakening in the US dollar has provided some support. In a reversal of Monday's losses, the price of crude oil moved higher yesterday, recouping a meagre $0.67 to close just above $96 a barrel. In the meantime, the Tropical Storm Isaac has just made landfall this morning. The US Department of Energy will release its weekly inventories report today, which is anticipated to show a fall of 1.1 million barrels. Increased tensions in Europe and problems in the South African mines have driven precious metals higher again. If the mining companies come to a swift agreement then the current rally may prove short lived. However, it seems possible that South Africa will see some significant wage inflation and this could hurt both the USD/ZAR and the mining companies' valuations. Gold, platinum and silver prices are rising sharply as the disruption in South Africa widens. The cost of mining is likely to seriously increase and this would affect the margins of the companies involved, as well as the cost of the raw materials themselves. Gold managed to breakout of its trading range yesterday, with a dramatic punch through the $1,630 resistance level. The precious metal even managed to rise above $1,640, and this is where it remains this morning. At around this level, there are some old minor resistance levels that the bulls will have to break through, but the mood seems to be positive. Gold continues to slowly push higher, with the $1,630 barrier now looming large. CFD trading investors should be wary of a reaction pull back, as per the last five attempts at this level, but the reversals are getting weaker which will give bullish optimism that 'this time' it will happen. Clients had been long until now, but they are currently taking profits and letting someone else push us up. 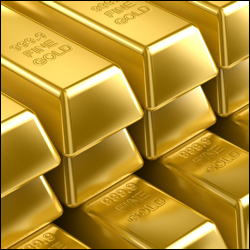 In the commodities markets, gold seems to be quite comfortable at current levels. The $1,625/30 level has proved to be difficult to overcome, but any price below $1,600 runs into solid buying. At the moment, we are seeing true two-way business in the market, with buyers slightly outweighing the bears, as they have done for years. With the precious metal still stuck in the ranges of the last six months, it remains a range traders market.